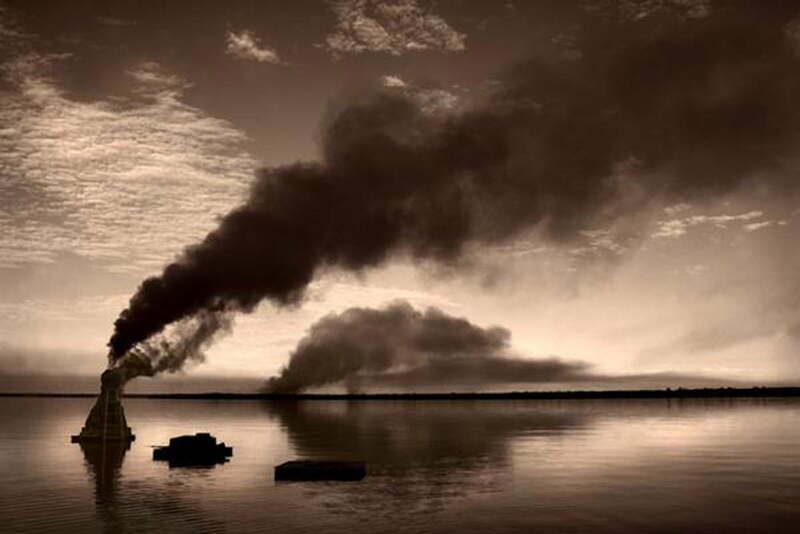 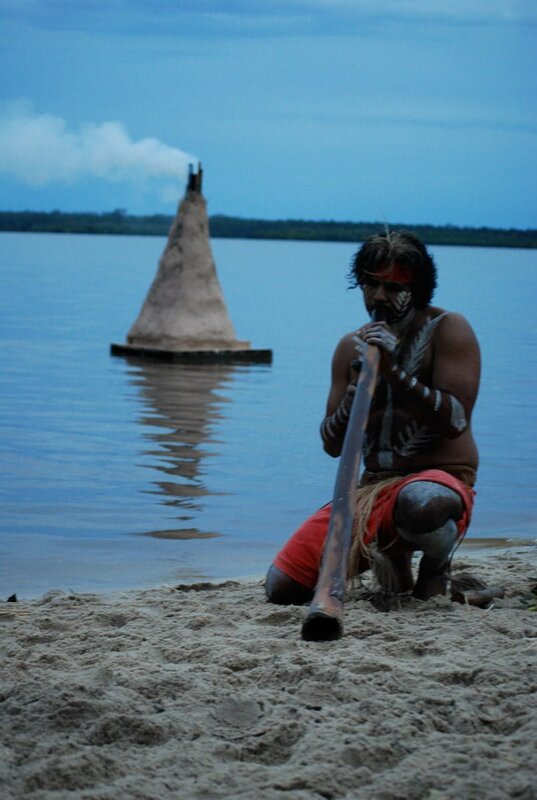 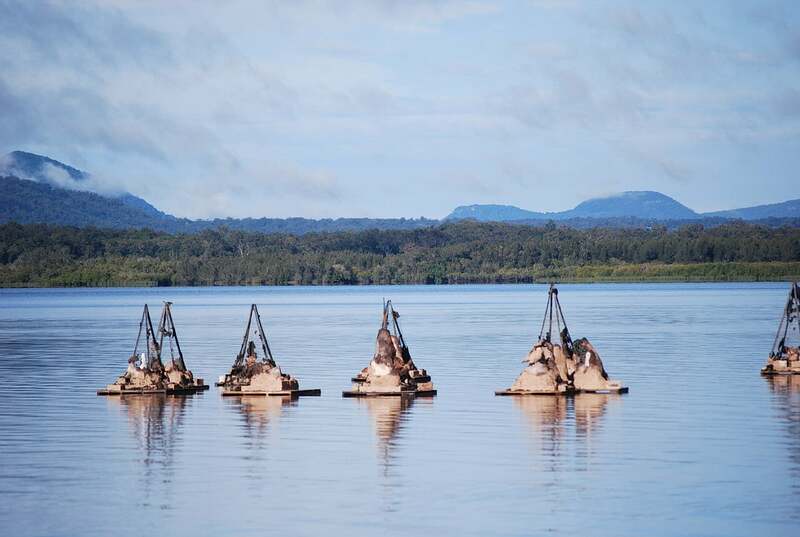 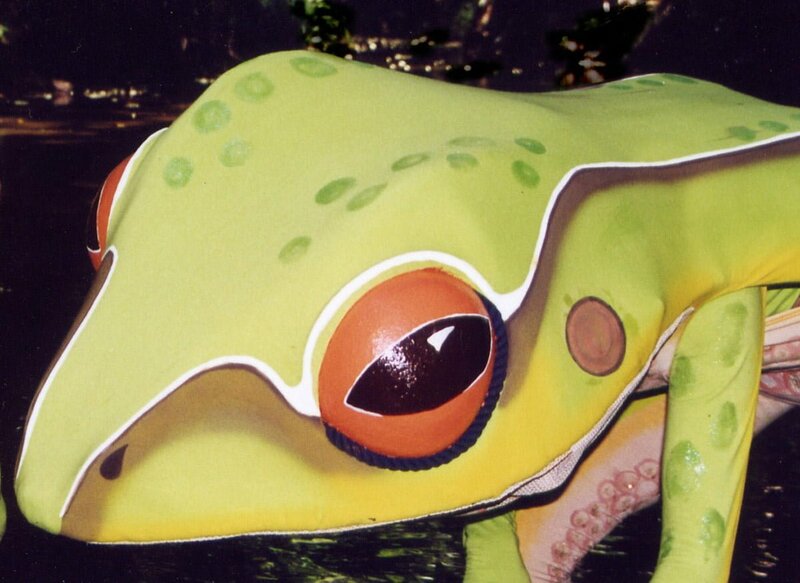 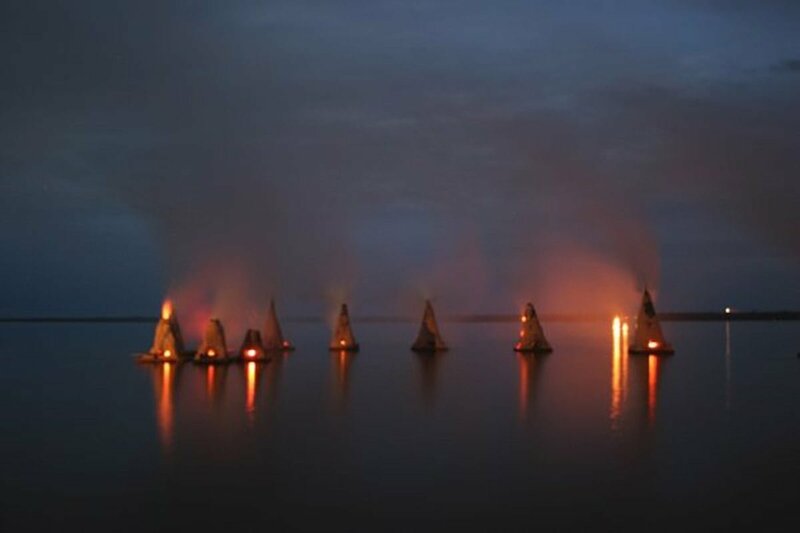 Floating Land is a unique cultural event which explores environmental themes while creating and exhibiting temporary artworks in outdoor natural settings. 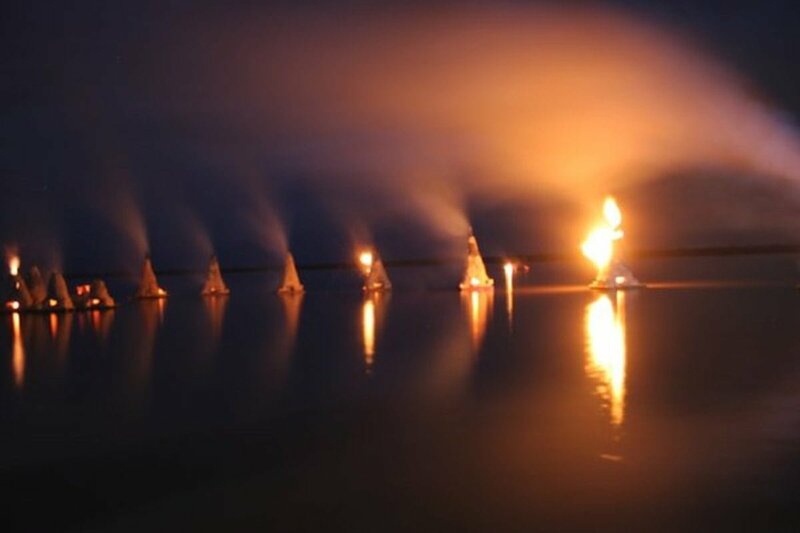 “The Floating Land program is a celebration of our natural environment – of light and land, and that most precious resource: water. 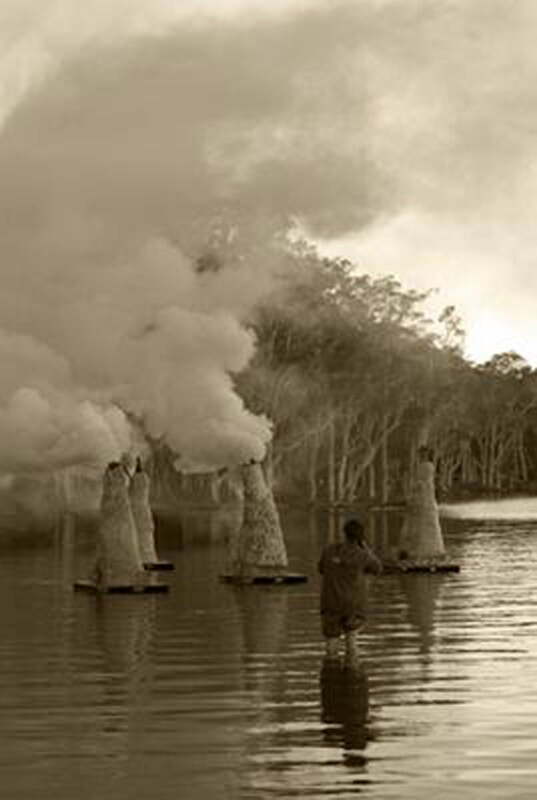 These natural elements inspire our artists during the Noosa Long weekend each 2 years, but they remain a guide and gift for us all everyday. 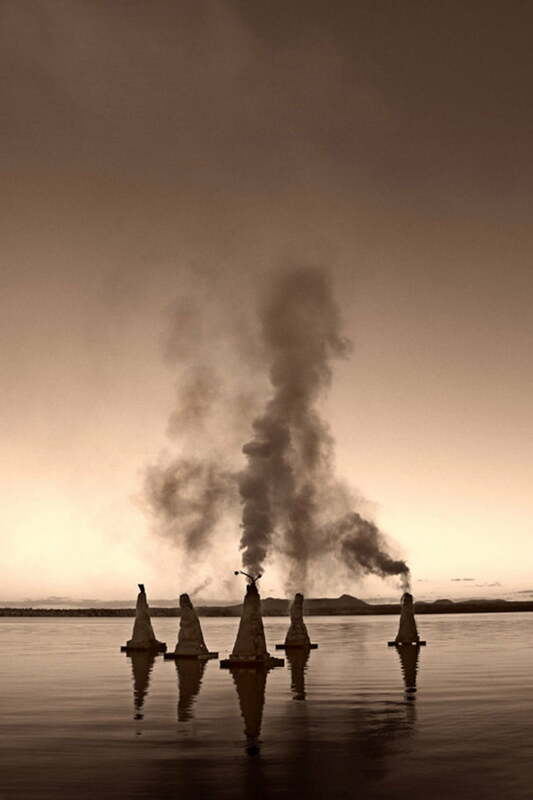 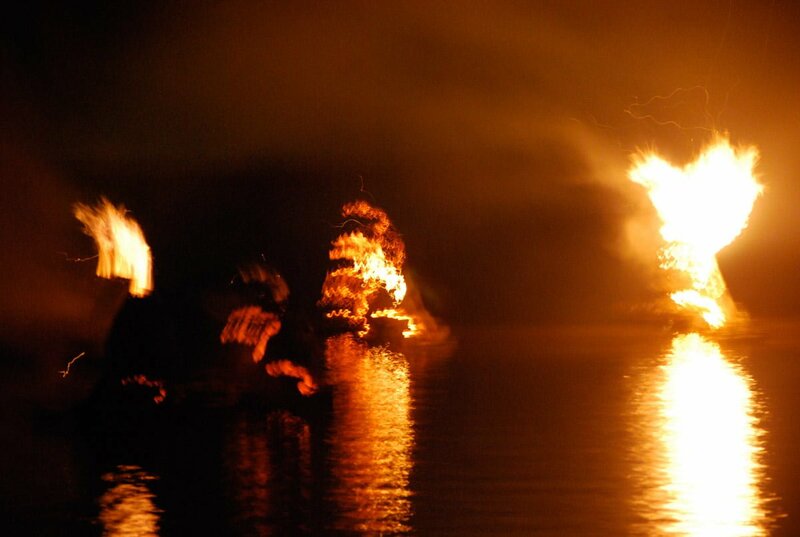 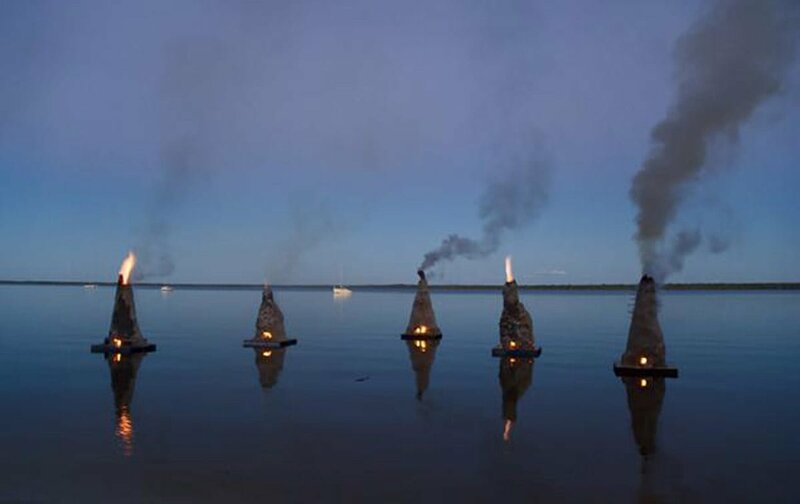 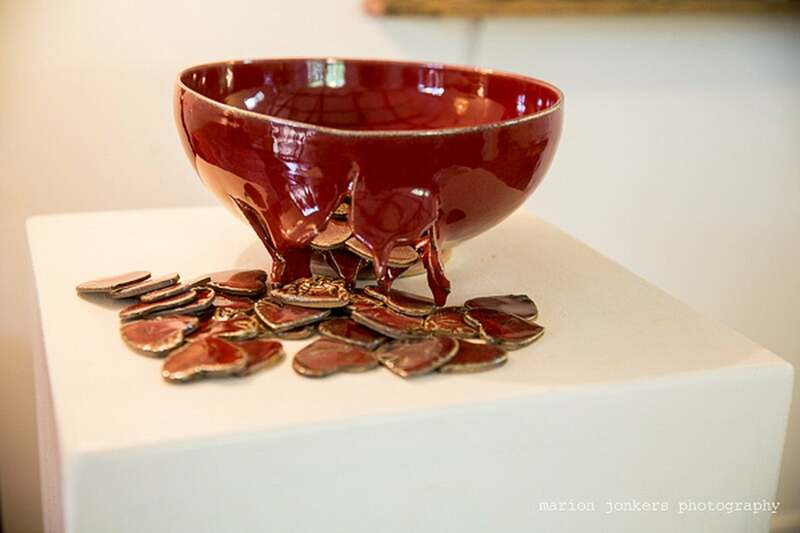 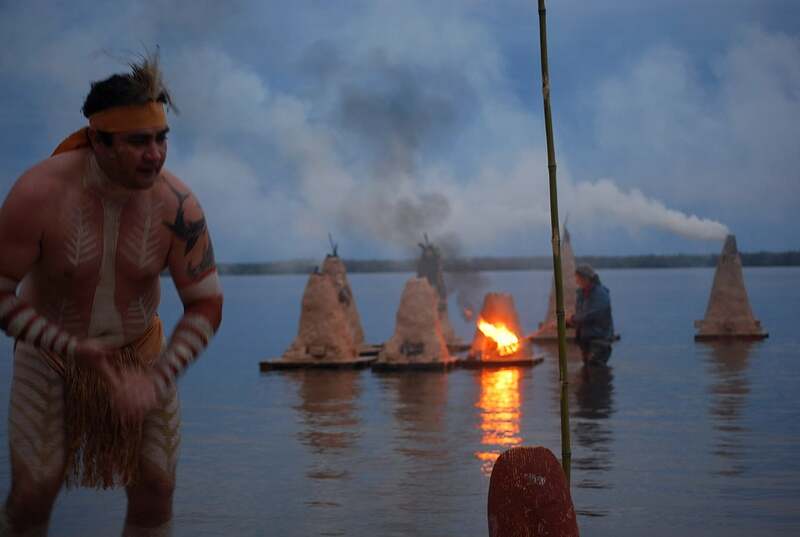 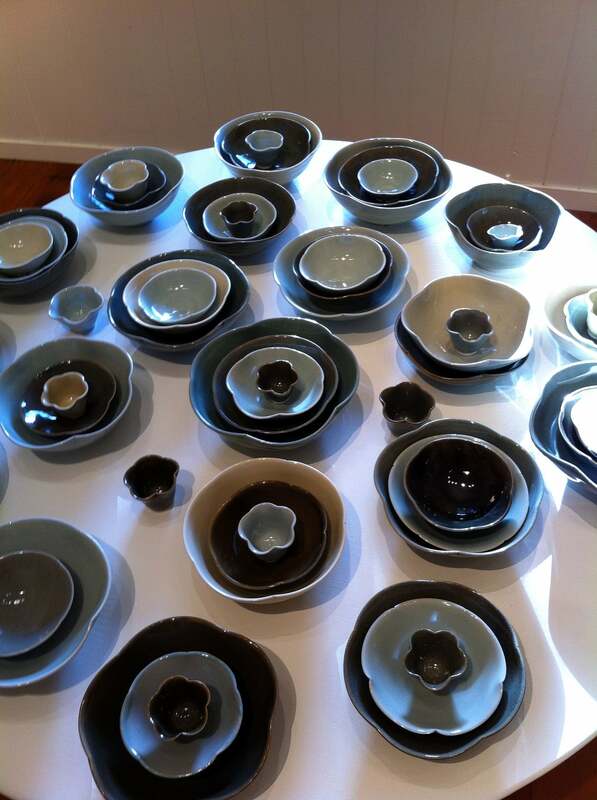 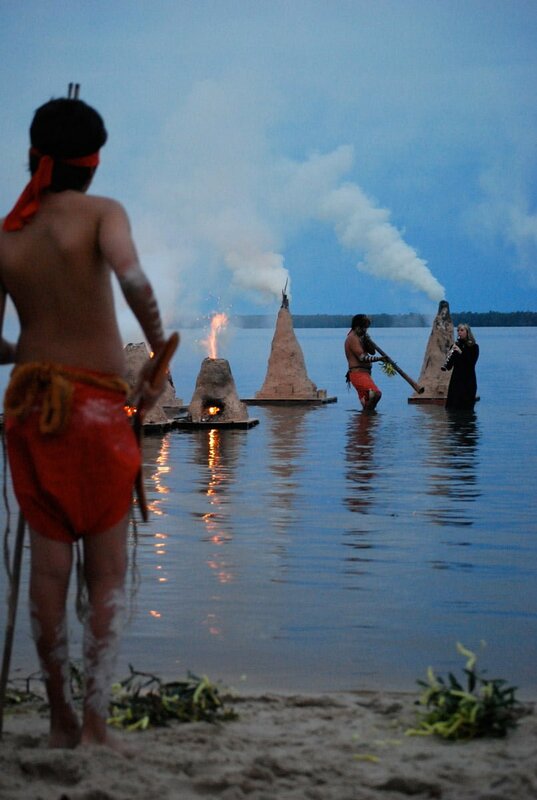 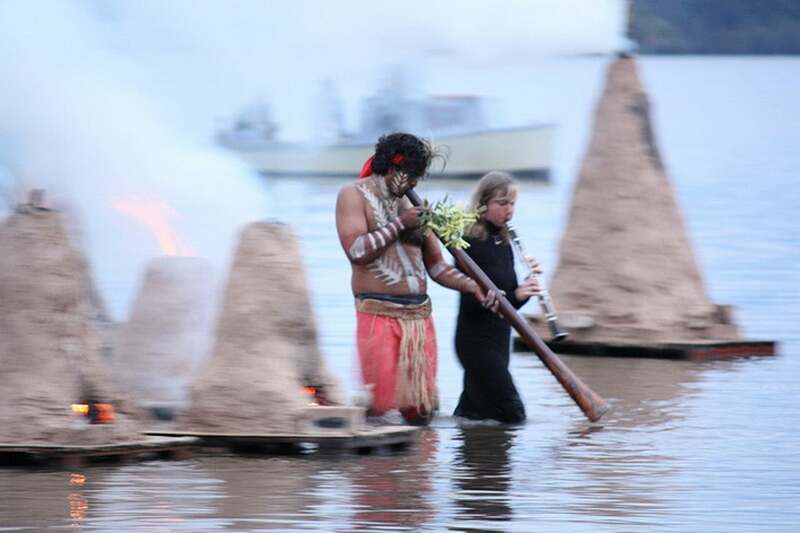 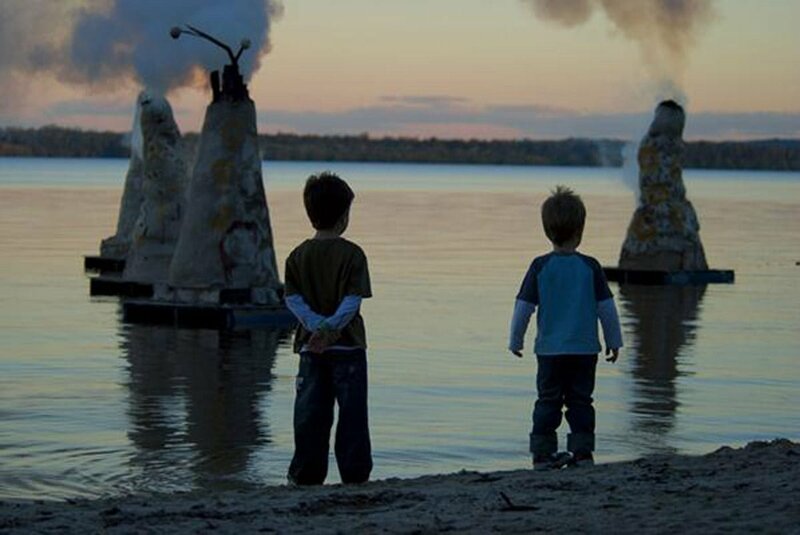 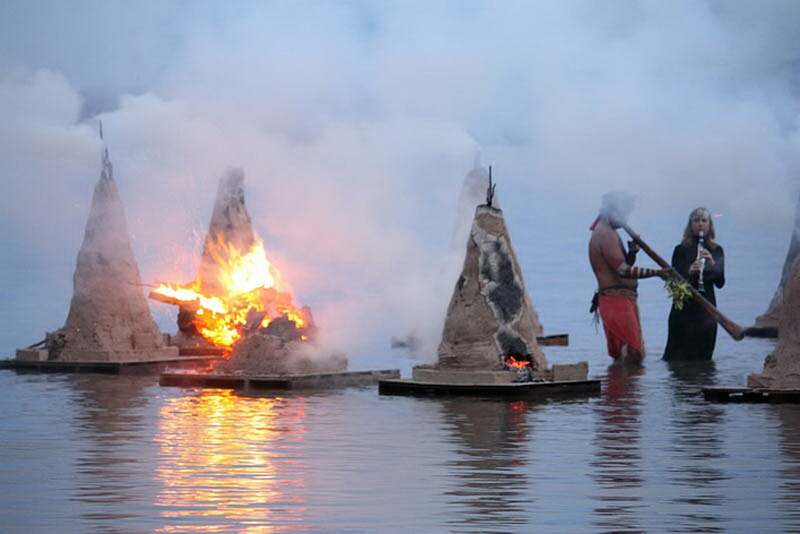 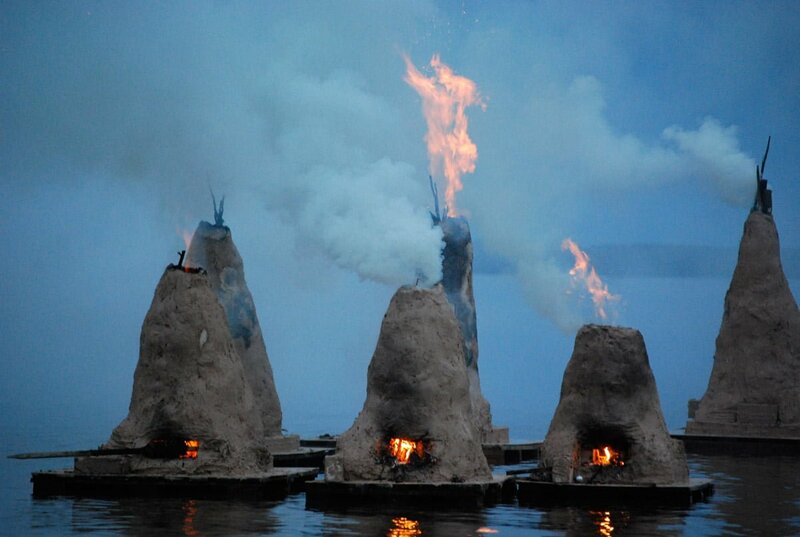 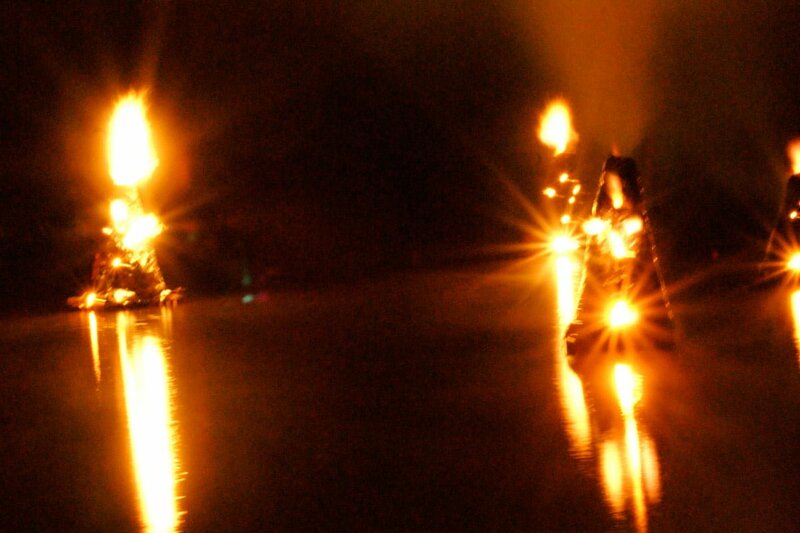 A team of ceramic artists created the small volcanic sculptures on the lake, floating kilns fired at sunset.